Coming Down the Pipe - After striking out With AJ Thelan in 2004 and time running out on 2005 first rounder Benoit Pouliot, the Wild received some value from James Sheppard and should see Colton Gillies make the jump this year. 5th rounder Cody Almond played out of his mind in the playoffs and Memorial Cup with Kelowna. Draft Trends - 3 of Minnesota’s 4 picks last year were blueliners. In 2008 they stayed away from the WHL, while in 2007 spent 4 of their 5 picks out west. Millard: Jordan Schroeder - Minnesota dips into it’s own backyard, which is likely near a lake somewhere and pulls out Golden Gopher freshman Jordan Schroeder, giving a team that sometimes lacks skill plenty of it. Schoeder size prevents him from being picked by the Wild. Keep in mind that Fletcher said he wants a "tough, physical" style of play. Not possible at 5' 8". Also, Shep gets a "best pick" rating? What has he done to earn that? 41% face off win percentage, 43 points in 160 games, and not a single PPG. I'll give you a flier on Almond since he made it to the Aeros as a fifth rounder, but as a "best pick" that is a stretch. Unless you are trying to point out just how poorly the Wild have drafted, Almond is a bit of a stretch still. Enjoyed the piece. How long have you guys been around? - You don't draft for need in the 1st round. If Fletcher wants size then he can find plenty of decent big players to draft from the 2nd and onwards. You take Best Player Available and unless he legitimately believes that Ashton/Kassian/Glennie/Kreider/? has more NHL upside then size shouldn't matter at this point in the draft. I didn't write this one up so I won't speak for Dean's choices in the top 5 picks. good discussion though, appreciate the comments. I wasn't comparing the Wild picks to the rest of the league, just their picks in the last 5 years. So you can read into it anyway you want. There are teams that have struggled at the draft for sure, I had some trouble picking out 5 guys for the Vancouver preview as well. I agree with Guy on size. They can get bigger courtesy of a lot of different places - Colton Gillies will give them some size next year - but the Wild need a serious skill injection right now, and it doesn't hurt that fans will be very familiar with him. 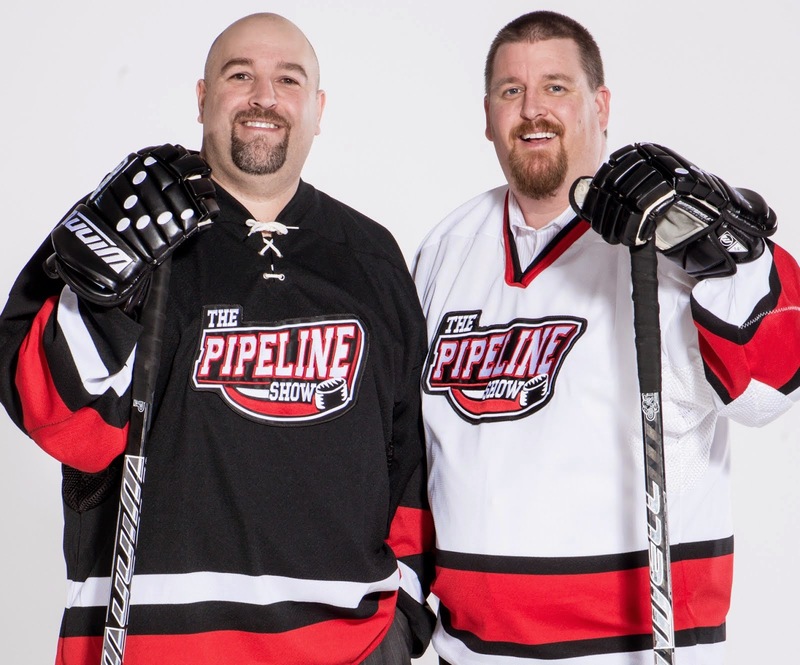 Thanks for the comments though, if you like the blog listen to our show each Tuesday 7-9 pm mst time, online at www.thepipelineshow.com. Drafting the best available player got them where they are today. A minor league system devoid of any real talent. Drafting the best available player is a solid strategy, except if you start to find yourself in the position the Wild are in. They need a center who can play in the league, and Schoeder is not that guy. I've watched him play, and he is Pierre Marc Bouchard, part 2. A guy who skates around looking for a pretty pass rather than shooting. They don't need another skilled passer. They have a roster full of them. Not to mention the fact that Schoeder would not make the jump from college to NHL star. Would need some time in Houston. So an injection of skill does not come with Schoeder. It might be standard practice to draft the best available player, but if that player does not fit the system, he is no longer the best available. Interesting. I have not watched Schroeder as much as you have, but from what I saw of him at the WJC he has a pretty terrific wrist shot. However his stats do indicate he is a set up guy. I personally don't think Schroeder will be around by the 12th pick. I think he might get snatched up before that.